Remote support software allows IT departments and administrators to connect to and control a device from a remote location via an internal network or the internet in order to resolve technical issues and automate routine tasks. Businesses use remote support software to solve technical problems and bolster security without requiring technicians to have physical access to the device in need of support. Remote support solutions allow IT professionals to access and fix technical problems without being on-site; this type of software also provides the ability to monitor systems and run diagnostics remotely. Remote support software may also include functions designed to help maintain regulatory compliance as well as provide audit tools, granular permission settings, identity management functions, and more. Remote support solutions are used by IT departments to solve clients' technical issues and save organizations time and money on IT support. IT support staff do not have to travel to the physical device or waste time on the phone deciphering the non-technical language of an uninformed user. Instead, they are able to access the device, diagnose the problem, and implement a solution unimpeded. Remote support software should not be confused with remote desktop software, although the two share the basic principle of allowing access from a remote point via the internet or an intranet. The defining difference between these types of software is the expanded functionality offered by remote support solutions. Remote support software can be used as a standalone application, but most solutions typically offer integration with an IT management or a remote monitoring and management (RMM) solution. IT professionals use remote support software as part of their technology stack to enhance their capacity for helping clients. Remote Support reviews by real, verified users. Find unbiased ratings on user satisfaction, features, and price based on the most reviews available anywhere. TeamTeamViewer provides easy-to-use, scalable, and secure software to connect to and monitor any device, anywhere in the world. From desktop-to-desktop, desktop-to-mobile, mobile-to-mobile, or to unattended devices like servers and IoT devices, TeamViewer allows you to service and support the widest array of platforms and technologies. 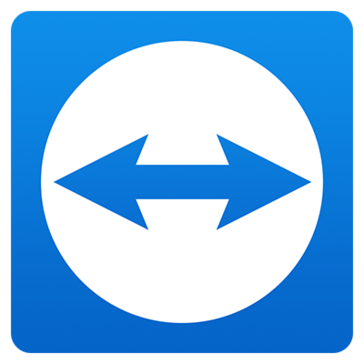 TeamViewer offers instant, secure access to any device, anywhere in the world. We’ve developed solutions that are as simple as possible for both support technicians and end users. No pre-installed, IT-administered software needed to receive help No complicated steps for people receiving support Enjoy cross-platform connections with support for Windows, Mac OS, Linux, Chrome OS, iOS, Android, Windows Phone, and BlackBerry Manage settings of your devices centrally, and use secure access controls to connect to unattended devices No port configurations or firewall hassles By cutting out unnecessary steps and complex configurations, your support team can focus their energy on solving problems and increasing productivity instead of struggling to connect with a customer in need. Seamless Integration Pre-built integrations with the world’s top IT-enablement platforms for simple, seamless deployment and continuous improvement. Amazon WorkSpaces Avira Freshdesk/Freshservie IBM MaaS360 Jira Microsoft Active Directory Microsoft Dynamics Microsoft Intune MobileIron Ninja Salesforce ServiceNow Synology NAS Devices ThingWorx Zendesk Bank-Level Security Cybersecurity is a constant concern, and your help desk is the hub of all security activity. Your remote sessions are secured by RSA 2048 public/private key exchange, AES (256-bit) end-to-end encryption, and configurable options like two-factor authentication, trusted device approval, master whitelists, and more. Manage Devices & Users Seamlessly Take control of your devices and users from one central dashboard that allows you to easily assign and revoke permissions. Install updates, assign licenses, and configure settings on any device, regardless of whether it’s attended or not. Any Device, Any Platform, Anywhere TeamViewer’s remote access solution supports all devices across your enterprise where connections are needed, whether that’s desktop-to-desktop, desktop-to-mobile, mobile-to-mobile, or unattended devices like servers and IoT devices. Work with any device, regardless of operating system or device status. Multi-User Remote Support Sessions Collaborate with other technicians to solve complex IT issues, with bi-directional desktop sharing and fast file transfers up to 200 MB/s. No lag, no stuttering, no telling users where to click so you can focus your energy on offering the best solutions. Simplify Ticketing With Servicecamp Enable seamless ticket intake and troubleshooting with custom intake forms, internal team notes, simple escalation, and the ability to launch a TeamViewer remote support session or video conference directly from the ticket. The best part? Servicecamp is included with TeamViewer Premium and Corporate accounts. BeyondTrust Remote Support (formerly Bomgar Remote Support) is the #1 solution for organizations that need to securely access and support any device or system, anywhere in the world. Technicians using Remote Support can quickly connect to, view, and control remote systems and devices, chat and collaborate with end-users or other technicians, all while improving remote access security. Organizations in all vertical markets around the globe use Remote Support to deliver superior support services and reduce threats to valuable data and systems. 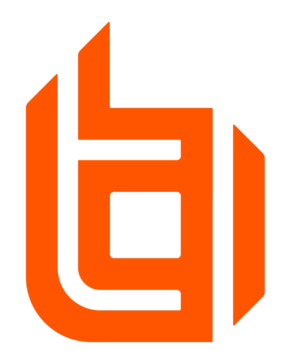 BeyondTrust is privately held and headquartered in Atlanta, GA with offices and channel partners around the world. Connect with BeyondTrust at www.beyondtrust.com, the BeyondTrust Blog, or on Facebook, Twitter and LinkedIn. Get a free trial of Remote Support at https://www.beyondtrust.com/remote-support/trial. VNC® Connect is screen sharing software that lets you connect to a remote computer anywhere in the world, watch its screen in real-time, and take control as though sitting in front of it. Support remote customers quickly through web-based, on-demand remote support sessions. Setup and manage remote computers effortlessly with unattended remote access. Completely secure and reliable. FixMe.IT is a fast and easy-to-use remote support application built for delivering on-demand and unattended technical assistance to clients located anywhere in the world. Starting at just $25 per month per seat, FixMe.IT allows you to provide unlimited on-demand support and manage up to 150 unattended machines. Other key features include branding, multi-session handling, multi-window control, drag-n-drop file transfer, multi-monitor navigation, whiteboard tools, session recording and reporting, reboot & auto-reconnect, and much more. Solarwinds® Take Control™ (formerly SolarWinds® MSP Anywhere™) is web-based remote control software for IT service businesses who need to solve client problems, fast, with minimum disruption to users. It offers live 2-way chat, typically less than 8 second connection time, responsive remote sessions and great remote support tools like windows event viewer and command line. Solarwinds® Take Control™ is 100% cloud-based and is easy to try, buy and use. With Solarwinds® Take Control™ (formerly SolarWinds® MSP Anywhere™), you can assign techs or whole departments to specific customers or individuals so that support tickets get handled efficiently and on time -- a happier experience for your employees and your customers. Technicians can access the system via the bash shell, transfer files silently, and call the system manager to view CPU usage or kill processes. Better yet, the system is lightweight and agile, providing a seamless and interference-free support experience for your clients. Benefits: Open system control console for your customer’s workstation to easily diagnose computer and network issues, check event logs, review or kill processes, and more. Use the remote command line to perform operations in the background, including issuing PowerShell commands. Silently upload files, including scripts that fix issues seamlessly in the background. Easily pass sessions to other employees to escalate tasks or take a break from a tickets, or employ multiple technicians on a single remote access session without affecting performance. Live 2-way chat, typically less than 8 second connection time, responsive remote sessions and great remote support tools like windows event viewer and command line. Kaseya VSA is an integrated IT systems management platform that can be leveraged seamlessly across IT disciplines to streamline and automate your IT services. Kaseya VSA integrates key management capabilities into a single platform. Kaseya VSA makes your IT staff more productive, your services more reliable, your systems more secure, and your value easier to show. VSA capabilities include: Remote Monitoring, Remote Control, Patch Management, Monitoring, AV/AM, Process Automation, Backup and more. Addigy provides the leading cloud-based IT Management Platform specifically for managing your Apple ecosystem, including all Macs and iOS devices. Our extremely intuitive platform empowers Apple IT administrators to deliver real-time service to their users regardless of geographic location while providing a robust administrative framework at scale. Leveraging Addigy, Apple IT administrators can provide: Asset Management, Monitoring, Automated Remediation, Maintenance, Software Deployment, Profile & Configuration Management, and so much more. Third-party (or vendor) remote access is the greatest threat to enterprise network security. SecureLink is designed and built for one purpose -- to provide the best possible third-party remote access solution. For highly regulated enterprise organizations, this means securely managing vendor remote access while controlling permissions, ensuring industry compliance, and creating audit trails. For technology vendors, this means efficiently providing remote support to customers while decreasing time to resolution, scaling to meet demand, and reducing liability. Remote Support from the cloud for the Customer Service Revolution. ScreenMeet makes it fast and easy to get on your customers devices and fix them all from within the context of your existing CRM and ITSM platform. All data is written back to the ticket autotmatically. Discover the top rated all-in-one software solution for managed service professionals (MSPs) and IT Professionals. Atera includes Remote Monitoring & Management (RMM), Professional Services Automation (PSA), Remote Access and more for one low monthly flat rate. Atera's affordable pricing model helps your business grow with no extra costs. Unlimited device monitoring, You only pay per technician. It’s THAT simple. We offer a 30-day free trial, so sign up today and try it! Managed Workplace is a complete remote monitoring and network management platform with powerful, integrated security tools and services. With Managed Workplace, service providers can quickly assess vulnerabilities, secure weak points, monitor anomalies, and seamlessly recover data in the event of an attack — all from a single dashboard. Managed Workplace brings a cost-effective, multi-tenant security lens to remote monitoring management — enabling MSPs to grow their business, differentiate their services, and build customer loyalty. ISL Online is remote support & remote access tool with a rich set of features and very high-security standards. ISL Online allows users to securely access and control remote Windows, Mac and Linux computers as well as mobile devices to provide ad hoc technical support and remote management. Rich customization options allow you to rebrand the software to your own corporate identity and apply advanced security measures. ISL Online offers a cloud or on-premises service with a unique licensing model, which doesn’t limit the number of devices or clients you support. Radmin allows establishing a secure connection between computers over the internet as if they were connected over a LAN. NinjaRMM is the world’s first security centric remote monitoring and management platform. Ninja touts an amazing user experience, 360-degree monitoring, an IT marketplace and tight integrations with products used by MSPs as well as IT professionals. BMC Client Management optimizes your service management solution to provide comprehensive, automated endpoint management, delivering great service to end users while minimizing cost, maintaining compliance, and reducing security risk. Cloud Management Suite is a Predictive IT Management solution, delivered from the cloud, that enables the IT Department to manage all devices inside or outside the network without the need to deploy agents. Cloud Management Suite provides patch management (Microsoft and third-party), remote control, inventory, reporting, and software distribution features. dualmon provides an advanced Software-as-a-Service solution that will keep you connected to your computers from anywhere in the world. Glia creates digital-first customer engagement solutions that enable companies to identify and segment high-value website visitors, communicate through live chat, audio, and video chat, and leverage visual context through CoBrowsing and Live Observation - creating deeper, more meaningful conversations that lead to increased sales and improved customer support. ShowMyPC provides Remote Support and Meeting services for all users. Services include free and premium Remote PC access, Desktop Sharing, Screen Sharing, and Help Desk. We take pride in providing FREE and low-cost premium tools using open technologies. Comprehensive remote support software for end-user support and system troubleshooting. Provides Toshiba technical support for all series of laptops and netbooks that need online assistance to fix various types of issues. Agentless Remote Control is a remote support software that allows users to remote control any systems in their organization from any browser without deploying a remote control client. Augmented Support is a remote support software that allows users to communicate worldwide with voice and video. The free Cireson Self-Service Portal for end users is a complete replacement of the Microsoft Self-Service Portal for Service Manager. Empower your end users to perform everyday self-service tasks by providing an easy to use, personalized experience when reporting incidents, searching the knowledge base, and requesting services from the service catalog. Use this app along with the free Analyst Portal Community app to provide Analysts with web-based Incident Management capabilities. Dameware Remote Everywhere (DRE) provides a powerful remote support solution for IT professionals to access nearly any platform or device to solve issues quickly. It delivers clear visibility and communication capabilities to solve technical problems fast and delight end users. Packed with all the features of premium, expensive solutions, DRE offers powerful tools, reporting, and session monitoring at an affordable price. CrowdStrike® Falcon® Device Control™ allows administrators to control USB devices used in their environments and reduce associated risks. Remote support software for IT Pros. XP/Vista/7/8/RT. View & Control any PC or Mac through firewalls from anywhere. Junos Space Service Now is a remote, automated troubleshooting client that enables Juniper to quickly identify a problem in a customer's network and achieve a 40% increase in Day 1 issue resolution. Remote Access Plus is a secure and comprehensive enterprise remote support solution that lets you remotely govern computers anywhere on the globe. With the powerful remote desktop sharing and over a dozen of robust diagnostic tools you can instantly rescue remote computers at the comfort of your desk. No-IP Remote Access to remote access the computer, DVR, webcam, security camera or any internet connected device. Without worrying about monthly hostname confirmations. Remote Support and Meetings is a remote support software that provides remote support, online meetings and demonstration tools offering website integration, screen sharing, audio, and desktop recording. Remote Support Tools built to provide IT people: Remote Monitoring, Alerts & Remote Desktop Access. Remote Utilities is remote desktop software for secure access to workstations, servers and laptops over a LAN and via the Internet. You can view the remote PC screen and control its mouse and keyboard as if you were sitting right in front of the PC. With RU you can provide technical support to your customers and help your friends and family members. The program is free for business and personal use for up to 10 remote PCs. Rise Service Suite is a software-platform for the industry that makes the collaboration with the service team easier and more efficient. Why Use Remote Support Software? Who Uses Remote Support Software? Remote support software allows companies to support both internal and external users’ computers and other devices from a remote location. It utilizes the internet to connect to computers and devices at any location to perform both troubleshooting and administrative tasks. Remote support solutions should give analysts and administrators broad-scale command of the device(s) they connect with, even allowing connections without the end user present. The purpose of remote support software is to ease the overall process of troubleshooting and maintaining both company and end-user devices. Time saved — Support analysts and administrators no longer need to physically go from desk to desk or location to location to provide troubleshooting and administrative assistance. Costs saved — The cost of employing on-site support teams for every location you service can add up quickly, especially when different locations require technical support at different rates. Remote support software allows companies to centralize their IT support teams in one location that can serve every user, saving the cost of keeping support staff on-site at every location. Support and maintenance efficiency — Because devices can be accessed remotely at any time, troubleshooting and administrative tasks can be performed either at the convenience of the user or while the user is away, which can prevent disruption to daily workflow. Remote support software is specifically designed to allow IT support analysts and device administrators to perform their job functions without needing to physically access the devices they’re servicing. This is enabled by creating a connection over the internet between the end user’s and analyst’s devices. Beyond troubleshooting capabilities, remote support software also allows analysts and administrators to run diagnostics, monitor device functionality, and run software or firmware updates remotely. This creates a layer of preemptive support on top of end-user devices, as analysts and administrators are able to preserve device health without the end user being involved. End users might not always be able to adequately describe issues in a technical way. Also, support analysts might be seeking certain information about an issue that the end user might not know how to find. Remote support software helps eliminate this frustration by allowing a collaborative troubleshooting experience between the analyst and end user. Also, because the analyst has access to the device itself, they can seek out the added information they need without a cumbersome description to the end user about how to find it. Support teams will make the most use of remote support software. The software is specifically designed with those teams in mind to ease their day-to-day routines and tasks. However, software and licensing administrators also see quality use out of this software, as remote support software assists in scheduling and running maintenance on devices, regardless of the physical location of the device or the administrator. Attended vs. unattended support — This will be the big consideration for most potential buyers: whether they’d like their remote support software to require the end user to be present. Attended remote support software requires the end user to be present while support or administrative activities are going on. This can sometimes limit the scope and timing of support, as it has to coincide with both the user’s and the analyst’s schedule. Unattended remote support, on the other hand, does not require the end user to be available. This is ideal for running maintenance and other administrative tasks, but it also benefits analysts who need to run long, in-depth investigations that could inconvenience the end user if they were required to stick around during that process. Remote access and control — Fundamental to remote support, this software gives support and IT administration teams remote access to and control over end-user devices. The software allows for viewership of a specific window or the entire desktop as a whole. File transfer — Troubleshooting and maintenance will sometimes involve the need to pass files from user to support or support to user. Remote support software gives users the ability to share files with their support analysts, as well as allowing support analysts and device administrators the ability to transfer needed files to user devices. Multi-monitor support — Many workplaces now opt for 2–3 monitors at a workstation to help improve productivity. As a result, remote support software needs to be capable of viewing multiple monitors as well. Visual communication options — Part of the frustration with remote support comes from not being able to physically indicate things: you can’t point to a part of the screen, gesturing doesn’t help, etc. Remote support solutions offers visual communication options like chat, annotations, and pings so that even if the user and support personnel aren’t in the same room, information can be communicated effectively. Encrypted viewership — Anyone who’s ever been on the receiving end of remote support can attest to the experience feeling . . . weird. Another user is in your device, with full access to your data, using your device almost freely. Most users’ gut instinct is wanting to make sure their data is safe. Remote support software offers data encryption so that the connection is secure and no data goes where it shouldn’t. Unattended support — As the internet of things (IoT) grows explosively, it’s becoming increasingly inconvenient to need users available in order to perform troubleshooting and administrative tasks. Remote support software developers are pushing increasingly for more developed, mature unattended support features to meet the increasing need for time- and user-independent support. Connectivity — Because the support in remote support software occurs entirely via an internet connection, connectivity issues can end up bottlenecking the support experience. If implementing a remote support solution, be sure that network connectivity for the end user and support technicians can be maintained to the best possible ability. Hardware dilemmas — What if the issue isn’t the device’s software but a physical issue with the device’s own hardware? Unfortunately, remote support software loses capability there. Because support happens remotely and excludes hardware, companies may end up trading quicker software support times for slower hardware support. Privacy — The means to take control of other people’s computers remotely does come with a certain privacy risk. In the wrong hands, losing control of one’s own computer means entirely compromised data on the computer or on an entire network. It’s important when implementing remote support software for companies to utilize strong endpoint protection software to protect internal devices. Remote Support vs. Remote Desktop — While these are quite similar, they should not be confused. Remote desktop software is designed more exclusively toward being able to remotely access computer desktops from anywhere with an internet connection. Remote support software facilitates this as well but goes further in providing more extensive functionalities designed towards helping users and performing troubleshooting, maintenance, and other administrative tasks on those desktops. Remote Support vs. Help Desk and Service Desk — Remote support software pairs extremely well with help desk and service desk software for IT support teams. Help and service desk software provide incident tracking, user connectedness, and even knowledge management, where remote support solutions then come in to help support analysts provide the user with the assistance they require. Remote Support vs. IT Management — Remote support solutions will generally be paired with, or even rolled up under, IT management solutions. While remote support solutions can function as standalone products, pairing them with IT management solutions diversifies their use cases and helps companies offer a greater depth of service. Hi there! Can I help you find the best Remote Support solutions?